As we near the end of the calendar year, we draw closer to the full release of J.E. 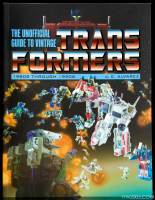 (Rik) Alvarez’s upcoming, updated version of The Unofficial Guide to Vintage Transformers. This is not just a remix of his previous three books, but rather a whole new walk through. Thanks to Mr. Alvarez and Schiffer Publishing, we were given the opportunity to have an early look at the encyclopedic tome of toy robots from decades past. 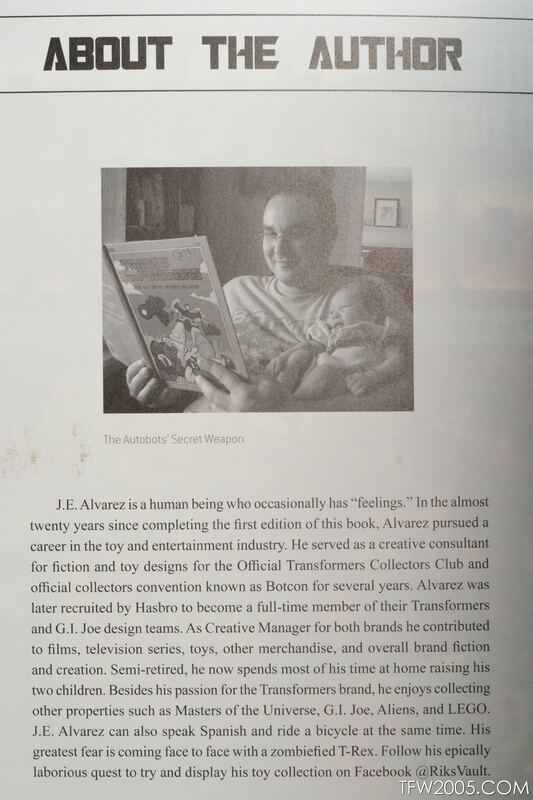 The book features photographs of his personal collection with additional ones coming from the Transformers fandom and community, making it all that much more special. 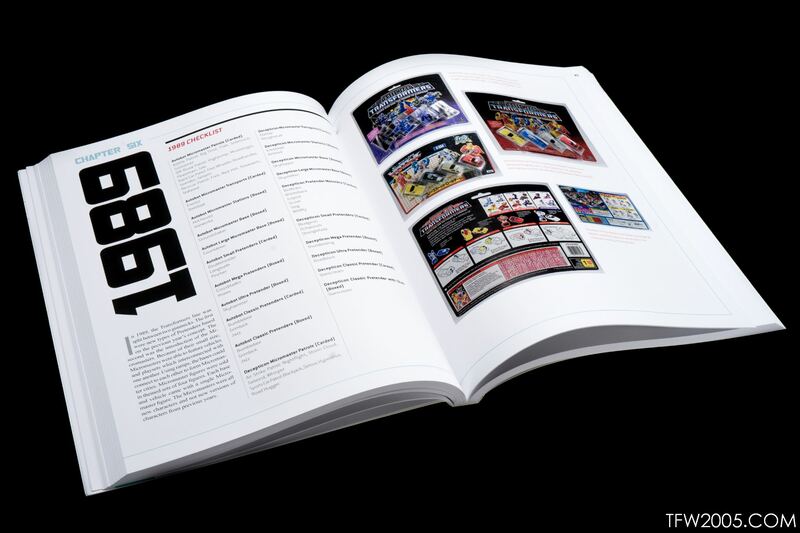 It also features a plethora of facts regarding those figures, and knowledge that can be appreciated by fans young and old. Check out the full review after the jump or you can grab your copy on Amazon right now. My first impressions upon receiving the book were that it was very dense, but very enticing with its cover recreating G1 boxart. 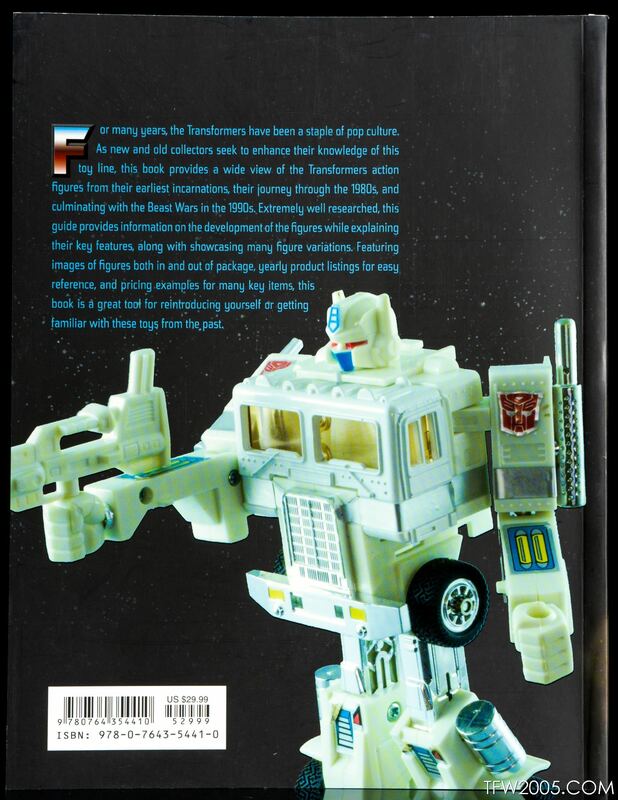 The cover itself is also very relevant considering the combiners and “titans” featured in the space battle art and the recent offerings from the Generations line. The first chapter naturally starts with the ever-famous year and the starting point of it all: 1984. 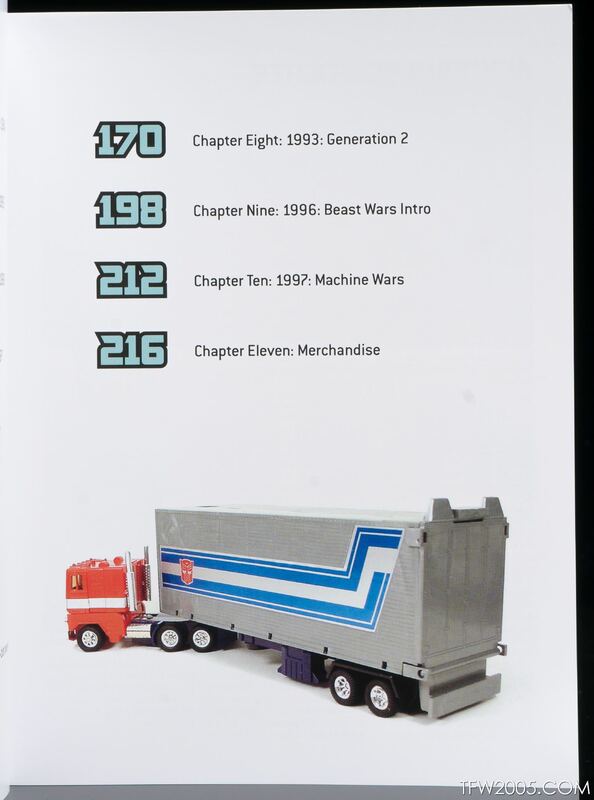 However, it doesn’t fully start with the Transformers as the first images in the chapter are of Diaclone Battle Convoy (Optimus Prime) and Ambulance Type (Ratchet) and the text delves into how Hasbro rebranded the Diaclones into the Autobots and Decepticons we’ve come to know and love today. 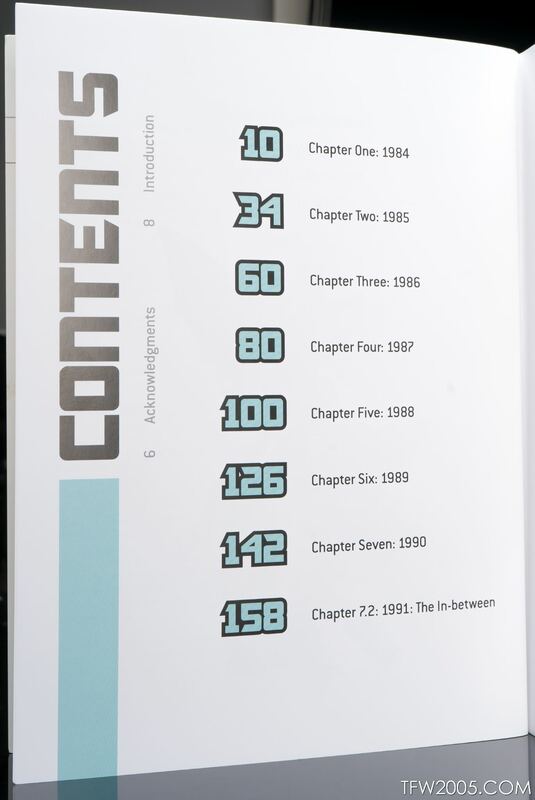 After the brief history lesson, readers will be presented with the checklist for 1984 Transformers toy releases, an element that is handily provided at the start of every chapter. I believe this will be one of the main draws to the book as fans and collectors of all kinds will appreciate the accurate “to-do” list to help them complete their collections. 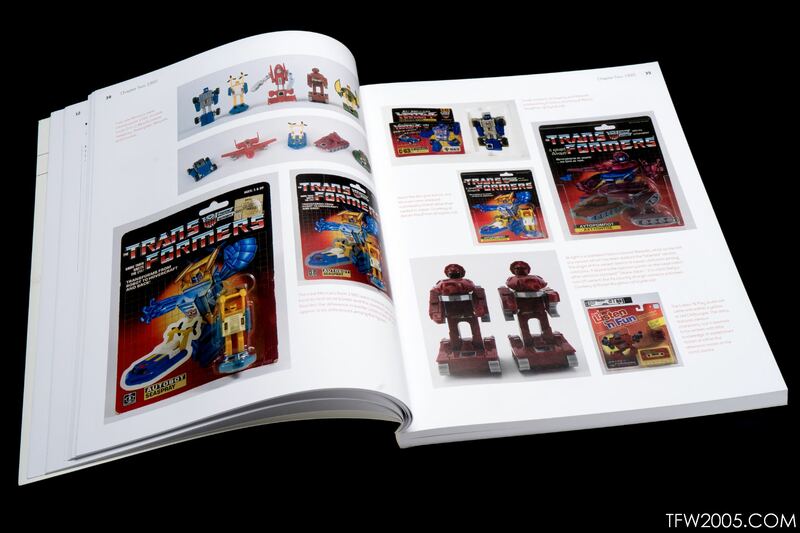 Each page is covered with countless photographs of vintage Transformers, including variants from other countries, rare releases, and hidden features some may not know about so readers can put faces to the names they’ve read somewhere, but never looked up. No detail is spared in the accompanying descriptions either, as the figures’ background info is included along with price ranges for the more rare and highly-sought-after novelties such as Bumper or the Trailbreaker tricycle. While Generation One fans are obviously catered to in this time capsule, Alvarez takes this gravy train right through the end of the 80s and into the 90s, where fans of Beast Wars, Machine Wars, and G2 are sure to feel the wave of nostalgia the book sends with each turn of the page. 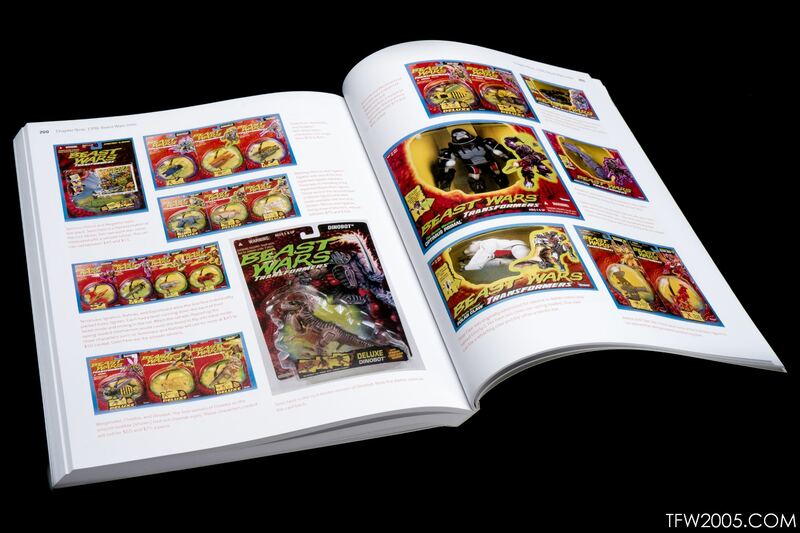 In addition to the brightly-colored and the beastly, the “gap” between G1 and G2 is bridged with information and pictures of the toys that were being released elsewhere in the world while the US saw the end of Generation One, and various merchandise relating to the Transformers outside of the main toy lines is included at the end, both sections featuring a plethora of rarities and fan favorites like the famed Omega Spreem. Overall, I have to say I thoroughly enjoyed reading through what might as well be the Transformers textbook any fans of G1 should have. While I personally did not grow up an 80s kid, I was raised like one and love rewatching G1 episodes, collecting some of the cooler figures from early on and later in the lifespan of the series, and am now in the process of matching these checklists with today’s Generations figures. 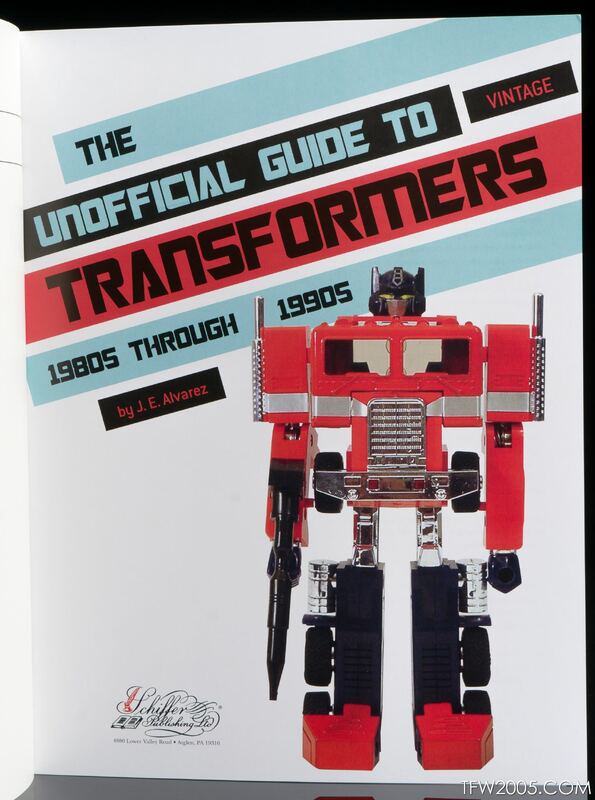 So whether you are looking to finish your museum of vintage robots, complete your collection of updates, get someone interested in the franchise, or are just interested in the pretty pictures and knowledge, this book is for you and will make an excellent gift for Transformers veterans and newbies alike. Disclaimer: Schiffer Publishing provided this book for review purposes. Easy pass for me. Not because the book is bad. Just cuz there have already been a handful of guides for G1. I already have the first copy of the Mark Bellomo book, and all the Cybertronian Recognition Guides (my favourite guides). This new Alvarez book has the Beast era, though, so it\'s probabaly a decent consideration for those fans. Technically it\'s still early, but I\'d love a book on all the \'Generations\' line i.e. CHUG, covering the figures from 2006 Classics – ? (probably a good end date would be the end of 2014, which was the end of the Transformers 30th Anniversary, and just before the new Generations line of Titans Wars kicks in). I already have my own checklists and there are A LOT of figures across so many differently branded boxes that would fall under the CHUG line, so it would definitely be a challenge to whoever publishes it. Not to mention it probably won\'t be 100% complete, due to the fact that there are opinions on what is CHUG vs. Movieverse (for example), or the many obscure variants found in smaller/discount stores that could get overlooked. 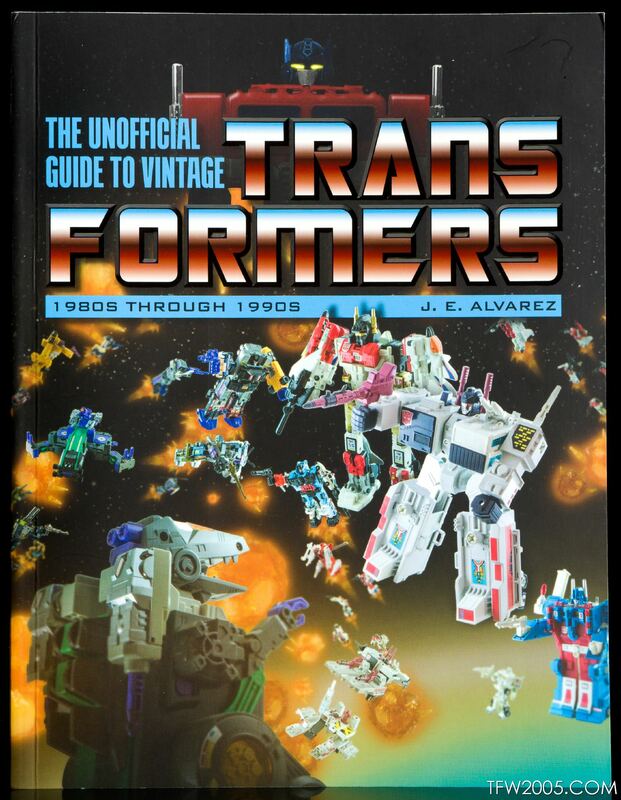 I own Alvarez\'s older book on Transformers Collectibles (covering Transformers merchandise). Also not complete, but a good collection of items and makes for a decent coffee table book. I'm going to get one as i have one on order with Amazon. I found out about the book right before video review and on the front page here. Amazon had the book on one of the search pages and got it right away. I'm excited about this book that i can't wait till the 28th of this month. Nice guide but not what I collect now. If there is plans to make a 3rd version I would love to see a real vs knock off comparasion, with what to look for notes. 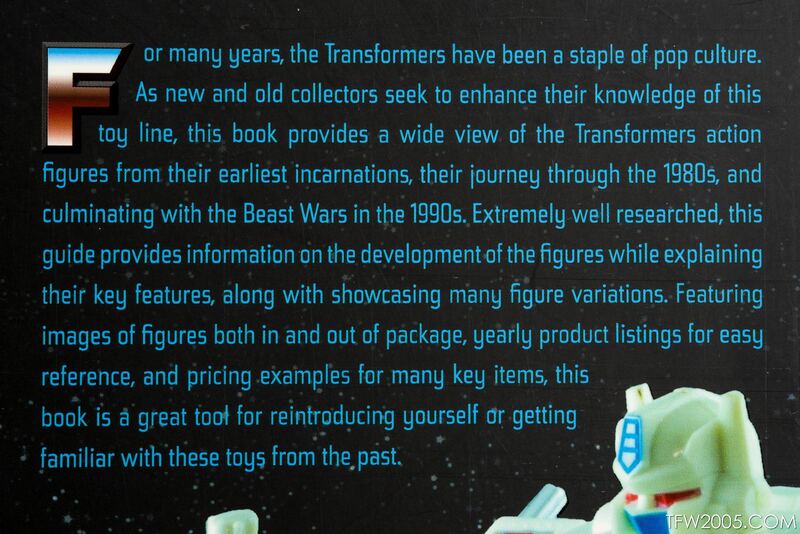 That would then make it a vintage Transformers collector\'s bible. Curious to see how extensive it is on the foreign market and variations. Are the Brazillian minibots included? Mexican Prowl? That sort of thing. Is there any information about the Peruvian Minicars??? There are many international variants included such as the red Tracks and the Mexican Prowl. I think people will be very surprised at the large amount of South American Minicars featured in the book. There are many many examples from several countries both in and out of packaging. We were lucky enough to have one of the largest Minicar collectors lend us his collection. Happy with Bellomo for G1. I'll pick it up if the expanded G2 section impresses me. Got the original, along with his Beast Wars and International volumes, which are musts. I still mean to grab a copy of the collectible/merch book. Just got my copy from Amazon. I\'m hoping the Ocmax books still make it out to us eventually but I\'m definitely enjoying this book so far. Great purchase in my eyes. From what I gather, Rik's pictures aren't as "good" or as extensive as the Kickstarter version, or something like that? The OE book was a brilliant parts and photography guide. They are two very different books. My book serves more as a reintroduction/coffee table book to your childhood. That's what I set out to make and stated in the Intro. I hope the OE book gets published. I was honored they asked me to write the forward for the first volume of it. I hope this isn't why the Kickstarter books weren't allowed to be produced. Is this different than the kick starter project that got shut down in October. If so, why is this able to sell when kick starter can't? Yes, it is different. We haven't gotten (that I have seen) any updates from Ocular Echo. I like both, but having followed the guys progress at Ocular Echo, I am holding out hope that their hard work pays off and we get to see it. Ugh! Maybe ill buy anyway but man, I really wish these books would be scanned and sold that way, assuming of course, if the file could be write protected to prevent piracy. For those that are wondering, Rik tweeted that Amazon should be getting their next batch within a week. Man, this looks like a great book. Anyone know if it might be available in digital download or PDF format ? I\'d would buy it instantly if it was…. Peaugh has a video review.